Often called the Panama Hat Palm for its palm-like appearance, this is actually not a true palm since it lacks a woody trunk. The soft, flexible, durable young leaves of Carludovica palmata are used to weave the famous Panama Hats—handmade brimmed straw hats—and other artisan items such as baskets and masks featured particularly by Panama’s Embera and Wounaan indigenous groups. It takes six young leaves to make one Panama Hat. This plant has a long narrow stalk and palmate leaves, and grows 1-2 meters tall. It is unisexual, reproducing vegetatively, and does not produce viable seeds. The female flowers mature first, and have large stigmas. Later, the male flowers mature and contain a lot of pollen. Weevils are the key pollinators of its flowers, and pollination occurs within the first 24 hours of opening. 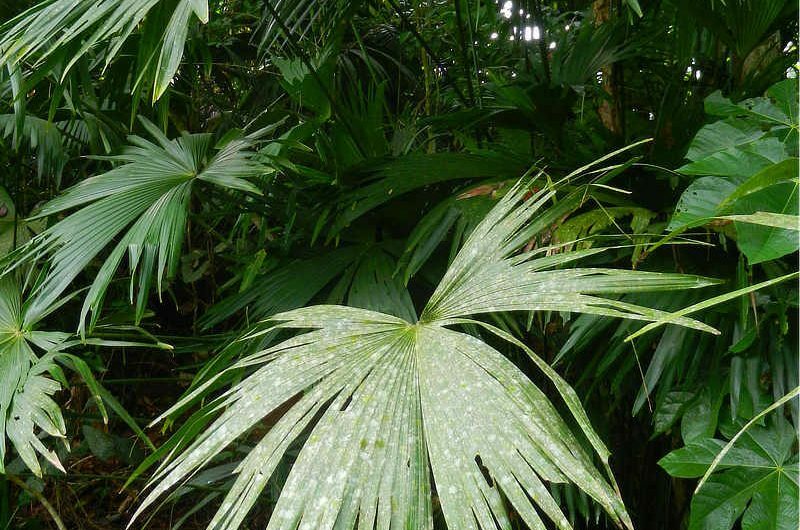 The Panama Hat plant is cultivated from Central America to Bolivia, and is commonly found in the forests around the Canopy Family lodges. Did you know? The famous Panama Hats actually originated in Ecuador. There are a few theories why they are called “Panama Hats”—they were first exported to North America through Central America, and Panama was the first country they entered. During the Gold Rush, prospectors bought these hats in Panama on their way to California. Panama Canal workers during its construction wore these hats as sun protection. Ecuador was and still is the main supplier of Panama Hats, and exports 1 million hats annually. Click here for more information about Panama Hats!